Go trick or treating every year and join in the celebrations at Asia’s largest Halloween party, Hong Kong Halloween Treats. This month long celebration ends on the 31st of October in full blast with parties and street shows blazing into the night. Witches, wizards, ghouls, demons and ghosts with blood dripping down their gnarled faces fill up the streets of Hong Kong in this city wide wild party to celebrate this age old tradition of thanking the spirits after a successful harvest before the cold months of the winter set in. Halloween has become a mega scale celebration in Asia’s World city and hundreds of tourists flock into the city to join in this mad masquerade. City dwellers shrug off their office clothes, let down their hair, put on a mask and transforms themselves into completely different people from the ones you see during the day time hours in busy office blocks and let loose and party to their hearts content. Dressing up is mandatory with a hundred different fancy dress parties to attend. Hong Kong Disneyland, Hong Kong Ocean Park, Madame Tussauds, Lan Kwai Fong and Avenue of stars put on their own show of spooky Halloween décor and crazy special offers to make the city a true haunted spook-tacular of colour and glamour in a very grotesque way. Enjoy devilish drinks, fearsome dishes, hair rising street shows and blood curdling discounts and special offers in malls and stores around the city. Step into the shoes of Frankenstein and party till the sun comes up. All Luxury Hotels in Hong Kong too join in on the fun and excitement of this crazy celebration with their own spook to spice things up. You will find no Hong Kong Hotel without a few banshees, ghouls and white faced ghosts lurking its corridors at the dead of night during this time of year, back from one or other of the many wild parties raging in the city corners. The Langham Hong Kong is a popular haunt among tourists for its strategic location at the heart of the city being easy distance from the city’s hottest party centrals and shopping districts. Chinese Cuisine is one of the most famous cuisines around the world that is loved and savoured by almost everyone. You would find Chinese food in almost every city of the world and a taste that many would want at all times. Chinese food is not only scrumptious but also rich in nutrition and freshness which has helped it gain its much fame around the world. Over the time Chinese cuisine has taken many turns and lifts making many changes to its unique Chinese taste and succeeded in giving out a great variety of delicious meals. The eight cuisines in Chinese food preparation has been a distinctive feature in the course of the preparation of Chinese food. The four flavours and eight cuisines have resulted with the combinations of climate, costumes, geography and products that have helped in the evolution of the diverse array of meals prepared. The food are made even more attractive by the exclusive taste, smell, shape and colour which shows off at the instant you glance at one fine Chinese dish. The taste and the look of such a dish could be so alluring that you cannot resist but want to try it all over again. The instruments, ingredients, cooking techniques have their own different styles and methods that help to bring out a fine delicious feast. The one important thing a Chinese visitor should do is to run to a nice place that serves great Chinese food and treat yourself with an unforgettable luxury extensive mealtime. The Chefs in China choose the best and the most fresh ingredients for their dishes and will do their best to satisfy their customer. 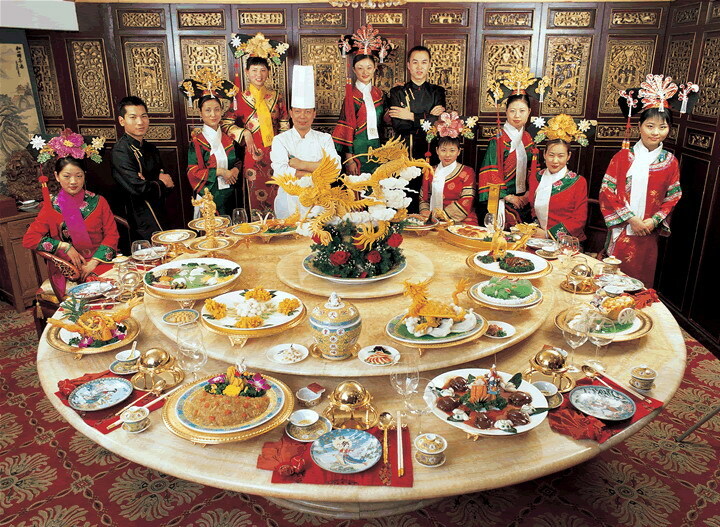 It is really an unforgettable pleasure if you get the chance of tasting the great Chinese tastes. If any China traveller wants to try out or experiment Chinese Cuisine there are plenty of food outlets where you can eat as you desire. Millennium & Copthorne Hotels China is a place that promises the best dining experience of all the Hotels in China. It is also one of the great China Hotels that gives you luxury accommodation along with lavishing food. Hong Kong is one of Asia’s most exciting cities to live in or to visit and explore. As the sun goes down the city comes alive with millions of twinkling lights and busy streets packed with endless possibilities to entertain you. From the elegant restaurants and chic nightclubs to a relaxing cruise on the Kowloon bay the entertainment capital of Asia has it all. Not only is it the entertainment capital, but also considered a forerunner among the culinary destinations of Asia. Along with its wide range of restaurants and delicious cuisines to tantalize your senses are a number of festivals such as the annual Wine and Dine festival which only adds meaning to such a statement and is widely popular among locals as well as tourists. Since 2009 when the government relaxed taxes on imported wines the festival took a kick off start with international wine connoisseurs flying to Hong Kong to participate in the festival. With the assistance of the local government hundreds of restaurants come together for a whole month, to make the festival a reality. With the tax concessions, the restaurants and local gourmets offer fabulous prices and is an opportunity for even the casual taster to indulge in this luxurious beverage. Thousands flock into the city to partake of this magnificent experience that gives a taste of the best wines in the world in one place. Along with the wine booths are hundreds of other booths filled with delicacies whipped up by culinary wizards in the city offering fabulous promotions from complimentary dishes to half price to buy one get one free deals. Along with these are wine themed promotions such as Spanish nights and Japanese nights. With the Kowloon bay as the backdrop, the 2011 Wine and Dine festival was an immense success and the city awaits another spectacular festival to be held during the month of November in 2012. Belonging to the class of Luxury Hotels in Hong Kong and standing out amongst them is The Langham Hong Kong for its plush surroundings and its personalized service. It is a Hong Kong Hotel with a personality and unique ambiance of its own.